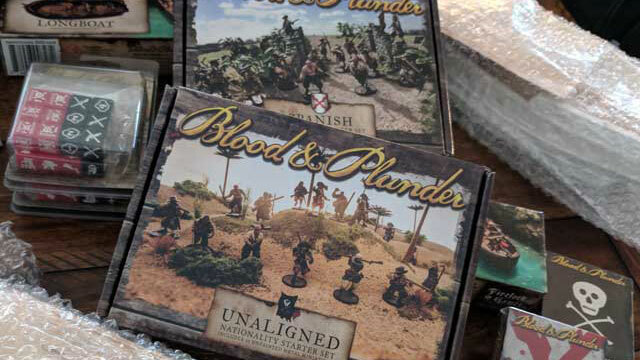 The Unaligned Nationality Starter Set from Firelock Games’ Blood & Plunder game is painted and ready to go, and with that comes the fun of figuring out how to build a starter force. 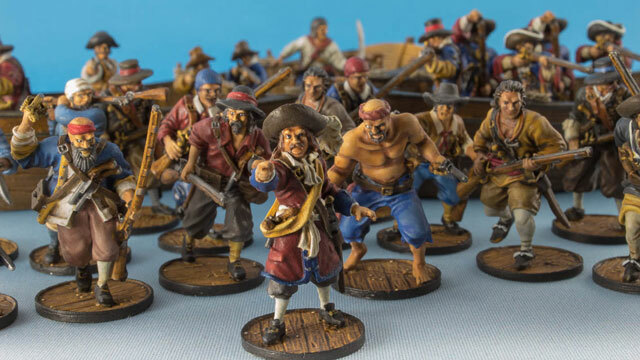 Before we do that, lets look at the models that came in the starter set because, following the unintended negative feedback on the packaging of the miniatures, they paint up very nicely. This is a little late to the game, as Blood & Plunder from Firelock Games was on kickstarter.com almost 3 years ago. But we finally started. Better late than never! We did consider getting involved in the Kickstarter, there were as usually many enticing stretch goals. 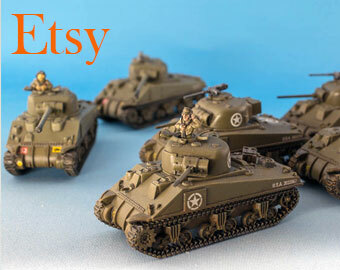 However, the timing was bad as we had built but a nice backlog of bolt action miniatures that needed painting couple with the price and the idea of metal miniatures kept us from buying in back then. This fall though we took the plunge, when we noticed they had introduced a cheaper two player bundle. After some deliberations, nationally we decided to go for the more expensive and expansive nationally bundles – pirates and Spanish starters.